World 1500m champion Genzebe Dibaba added to her growing list of record-breaking achievements by breaking the world 2000m record* at the Miting Internacional de Catalunya in the Spanish city of Sabadell on Tuesday (7). The three-time world indoor champion overtook the pacemaker just before the half-way mark, which was reached in 2:42.65, and continued to extend her lead over her younger sister Anna and Morocco’s Siham Hilali. She went on to stop the clock at 5:23.75, taking almost seven seconds off the world indoor best set by Gabriela Szabo in 1998. Although the 2000m isn't an official world record event indoors, Dibaba’s performance – pending ratification – can be classed as an outright world record as it is faster than Sonia O’Sullivan’s outdoor mark of 5:25.36. 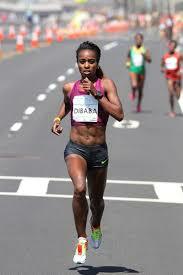 As well as the outdoor 1500m world record, Dibaba now owns the fastest ever recorded times indoors for the 1500m, mile, 2000m, 3000m, two miles and 5000m. Elsewhere in Sabadell, European champion Adam Kszczot won the 800m in 1:46.31 with Spanish record-holder Kevin Lopez taking second place in 1:46.58. European 5000m silver medallist Adel Mechaal was a convincing winner of the 3000m, clocking 7:48.39 to finish more than two seconds ahead of Italy’s Marouan Razine.